The Swedish star is witnessing what could be the final moments of his PSG journey. Don’t call it a comeback: PSG’s Zlatan Ibrahimovic is back on the goal trail, but don’t expect a return to stellar form. Zlatan Ibrahimovic’s brace a few weeks ago in the 2-1 home win over Olympique de Marseille in Le Classique made the Swede Paris Saint-Germain’s all-time record goal scorer. Legendary Portuguese striker Pedro Miguel Pauleta had held the honour until last weekend, but a quick-fire pair of penalties allowed the French champions’ talismanic striker to score his 109th and 110th goals to set a new benchmark tally. In breaking the record, Ibrahimovic also set a new one. The PSG No. 10 is now the most prolific player to have ever graced French football’s most prestigious fixture and has eight goals to his name in Le Classique. With those records out of the way, Zlatan can now switch his focus towards the remainder of the season in Paris - likely to be his last with the Ligue 1 champions - and helping Laurent Blanc’s men to domestic and continental success. Despite enjoying his thoroughly deserved moment of glory at Parc des Princes in that game against the old rival, Ibrahimovic’s usurping of Pauleta as PSG’s leading scorer should not paper over the cracks of what has been a slow start to the season for the 34-year-old. Zlatan has six goals from six Ligue 1 appearances so far this campaign and the former AC Milan man has also provided two assists in that time. Considering his UEFA Champions League displays as well, he has featured in two more games and has laid on another goal to make a total of six goals and three assists from eight matches to date. That might sound impressive, especially considering his early season injury struggles, but Ibrahimovic’s performances have been far from their usual level of dominance. Two of those goals have been penalties; while another was a scrappy effort from close range in a 4-1 win away at FC Nantes. His goal in the 3-0 win over EA Guingamp was well taken, but again, nothing out of the ordinary - especially not by Zlatan’s usual spectacular standards. Injuries have played a significant role in Ibrahimovic’s struggles so far this term. The towering striker looked superb in PSG’s pre-season tour of North America, but picked up a knee problem in the 2-0 Trophee des Champions win over Olympique Lyonnais in Montreal. The problem kept the super Swede out for the first three games of the Ligue 1 season. However, no sooner had he made his comeback with an assist in the 3-0 win away at AS Monaco, he picked up another injury on international duty with Sweden that kept him out of the Bordeaux draw. In order to play against formative club Malmo FF in the Champions League, he used painkillers and although his performance was disappointing, he provided a superb assist for Edinson Cavani’s goal in a 2-0 win. His inability to move freely was clear in the next game though; a 1-1 draw away at Stade de Reims that will arguably go down as one of - if not the - worst individual displays of his PSG career, where his teammates were equally poor. Ibrahimovic looked much better in the win over Guingamp, both physically and in terms of his form, but he was once again disappointing in the wins over Nantes, Shakhtar Donetsk and Marseille. Now back in action and back on the goal trail, Ibrahimovic is looking better than he did a few weeks ago. He featured in two more games with Sweden over the international break, helping his team to a Euro 2016 play-off game that will decide if he makes the tournament next summer. He duly returned from from the international break with two more goals for PSG, this time on his travels to Bastia in a 0-2 win. One of those goals was a trademark Zlatan finish; his improvised back heel connecting to a looping ball showed the Swede can still produce box office moments. However, this season’s Zlatan is not the same player we have seen in past campaigns, he is not even the same player we saw this summer. Don’t expect Ibrahimovic to ever reach the same levels of dominance that he enjoyed in his first two seasons in Paris. As well as ageing and struggling more with his fitness, the Swede is playing more of a playmaking role this term so that both he and Edinson Cavani can be adequately accommodated in Blanc’s starting XI. Playing such a role is not a problem for Zlatan as he naturally drops deep to pick up he ball anyway and is no stronger to providing his teammates with chances to score. However, that stops him from being the player who is putting the finishing touches to as many of those moves. Ibrahimovic is back among the goals again, but that does not mean his overall performances are as dazzling as they used to be. They are not and they should not be expected to return to superior former levels either. The combination of natural ageing, a succession of niggling injuries and a new - although not unfamiliar - role is not conducive to the Scandinavian superstar maintaining that stellar level of display. 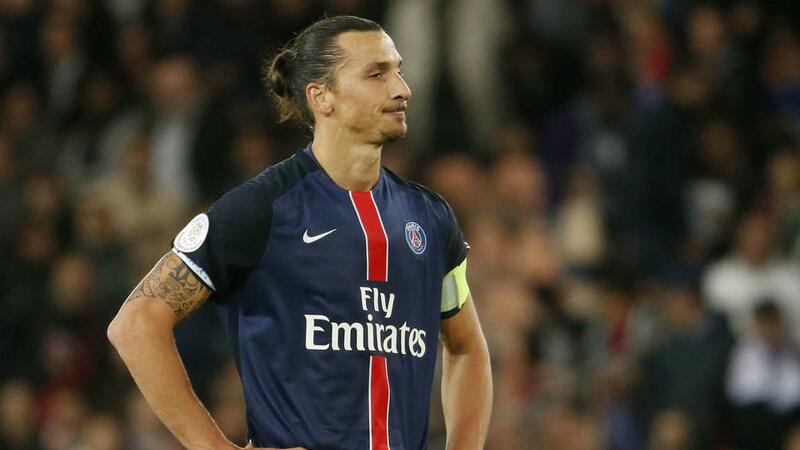 Instead, PSG and Ligue 1 should make the most of Zlatan in what is almost certain to be his swansong in France. In his current role and unable to do as much on his own as he used to, embracing his creative side could be what helps Les Parisiens towards greater success domestically and in Europe. By doing that, Ibrahimovic could also propel himself closer to Champions League success than he ever has ever come before.